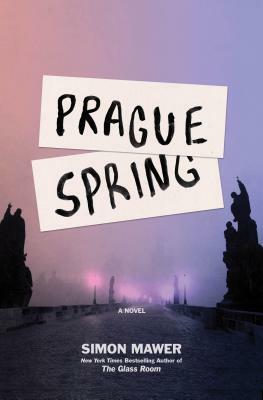 In the summer of 1968--a year of love and hate, of Prague Spring and Cold War winter--Oxford students James Borthwick and Eleanor Pike set out to hitchhike across Europe, complicating a budding friendship that could be something more. Having reached southern Germany, they decide on a whim to visit Czechoslovakia, where Alexander Dubček's "socialism with a human face" is smiling on the world. Meanwhile, Sam Wareham, First Secretary at the British embassy in Prague, is observing developments in the country with both a diplomat's cynicism and a young man's passion. In the company of Czech student Lenka Konečková, he finds a way into the world of Czechoslovak youth, its hopes and its ideas. For the first time, nothing seems off limits behind the Iron Curtain. Yet the wheels of politics are grinding in the background. The Soviet leader Leonid Brezhnev is making demands of Dubček, and the Red Army is amassed on the borders. How will the looming disaster affect those fragile lives caught up in the invasion? Simon Mawer is the author of the New York Times best-selling novel The Glass Room (Other Press), which was short-listed for the Man Booker Prize. His previous novels include The Fall (winner of the 2003 Boardman Tasker Prize), The Gospel of Judas, and Mendel's Dwarf (long-listed for the Man Booker Prize). Tightrope (Other Press), his twelfth book and tenth novel, was published in 2015. English by birth, he has made Italy his home for more than thirty years.